There are tons of freezer recipes out there and I want to give you the chance to share your favorites and try recipes from other freezer cooks like. I don't believe in secret recipes. To me cooking is about good quality ingredients mixed with a dash of technique and served with love. Food is about community and sharing and not just in the kitchen or at the dinner table. So here's a place to share your recipes with others and discover more mouth-watering freezer recipes submitted from freezer cooks just like yourself. 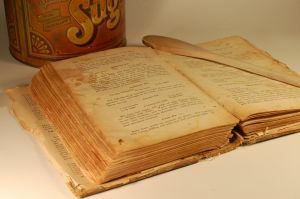 You can create your own page to share your favorite recipes with cooking, freezing and thawing or reheating instructions. Do You Have Fabulous Freezer Recipes? Thinking of recording your family favorites on the web? Want to help others save time and money and eat better? Or do you just want to show off your best freezer friendly kitchen creations? Here's your chance. Share your freezer recipes with us! Enter the Name of Your Freezer Recipe. TIP: Since most people scan Web pages, include your best thoughts in your first paragraph, like why you love this recipe and we have to try it. Tip: Food looks more appetizing on a plate than in a freezer container plus the glare from freezer bags looks horrible in pictures-I've taken enough to know! Maximum size is 800X600 so crop and edit if you need to. Try Picnik to edit online for free. Browse Other Visitors Fabulous Freezer Recipes! Click below to see the mouth-watering recipes from other visitors.